Amidst the social media clutter we live in today, email marketing has taken the position of a more integral part of any marketing strategy. Do you know that 77% of customers prefer receiving permission based emails than other various forms of marketing communications? This makes a great chunk of the customers and also sheds light on why email marketing has become so important. Email marketing campaigns offer a great opportunity for you to enhance your brand image and communicate it effectively to your target audience. It also helps in generating leads, building strong relationship with your clients, gather important data, and increase your web traffic. 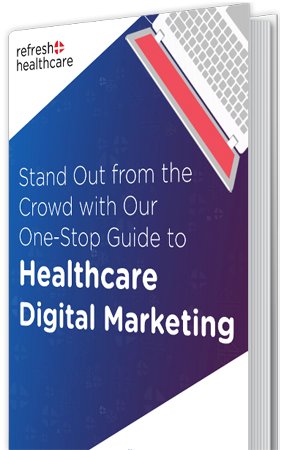 When it comes to the healthcare sector, most of the marketing campaigns often neglect this very important side of marketing. In many cases, the email marketing campaigns are a miss as the marketers are unable to make the best use of them. 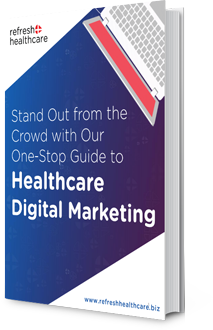 In most of the cases, healthcare marketers have all the information they need about a customer, since they fill out forms with their contact information, but fail to make effective use of this data. Getting the email IDs of patients is not a difficult task when it comes to the healthcare sector, but the main task is making use of this information in the favor of your business. Healthcare businesses today are relying more on mass messaging which turns their customers off because not everyone is in need of the same service. Customization is the key that makes all the difference between making an email campaign a hit or a miss. Do not dilute all your reputation with sending across the same message to all your customers a million times. Nobody has the time to read it. The idea is to make use of the customer information you have in your favor and offer your clients something that they find relevant. Do not, we repeat DO NOT, sit on heaps of data and do nothing about it. You have the data right in your hands. The time to start working on it is now. Is your healthcare business using effective email marketing to attract more customers and to build reputation for your brand? Email marketing not only allows customers to be aware of the services you offer, but also help in building your brand. If you have not taken email marketing seriously for your healthcare business until now, it is time to pay attention to it and grab the many benefits it offers to your business. Email marketing is one of the most cost-effective marketing tools you have. And, it can be used to reach not only patients, but also healthcare providers, facilities, services, and other parties involved in the business. In addition, it can also be used to send newsletters and even serve as a reminder for special dates, appointments, and events that need not be missed. But, does any kind of email sent to the customers or other players in the business yields the results you expected? No. You need to be specific in terms of what you are sending to the audience. Not sure what tips to follow when it comes to email marketing for your healthcare business? We are here to help. Here are some of the best tips that can help you take your email marketing game a step higher and yield some amazing results through it. Nothing clicks more than personalized content. Your emails are less likely to be opened and read if the same content and subject line is sent to everyone in the list. The subject line is the first thing that anyone notices when they receive an email. Thus, you need to personalize it according to the recipient. Make sure it is catchy and attractive and something that one would want to click on, open, and read. It is also important to call each email user by their name. It makes them feel acknowledged and they are more likely to open the content and read through it. It is important to segment your email messages as recipients are more likely to open emails with segmented content rather than the ones that aren’t. For instance, you can segment the content and the emails sent to the customers based on their age, or their preference, or the information they are likely to be looking for in the healthcare industry. To create better overall results, create content that is effectively related to the specific target audience, and segment the email lists based on their relevancy. Sending out a well-designed creative email to the audience is not wrong. In fact, such emails that have more images and minimal content have a higher engagement rate than the ones that only consist of plain text. However, it is important to make sure that the main content and message of the email is not lost in the creativity. Creativity should be built around the main message of the email and not vice versa. It is best to use text that is simple to understand, with no fancy words. The intention of the email should be clear to the reader right from the beginning. Most of the internet users today prefer getting content that is mobile friendly as most of the time they are using mobile devices to access the internet and their email. Therefore, it is important that the emails you send are mobile friendly. This is a great thing to do as it helps the users remain connected with your healthcare service anytime they want, even if they are on the go. They don’t need to be in front of a desktop computer to be able to read your email, which is a plus point considered by many of the users. Like everything else, you need to track and evaluate the marketing data, the users and the results that you get using email marketing. Marketing data that should be tracked includes the traffic that was brought to your website through email marketing. This will help you tweak the marketing techniques if needed to gain the expected results. It is important to send emails to the customers that are informative in nature and also make sure not to overdo it as it increases the risk of higher unsubscribe rate that you would not want. If you are still not sure about how to manage email marketing and use the data you have of your customers effectively for your healthcare business, you can get in touch with the experts at Refresh Healthcare to help you out. We are experts in helping healthcare organizations reach their marketing goals through our effective marketing campaigns. Get in touch with us to know more.